Happy March the 3rd to all Bulgarians! On 3 March is celebrated national gala day of Bulgaria. This day marks the end of the war for the liberation of Bulgaria between Russia and the Ottoman Empire. In San Stefano peace treaty was signed, according to which all Bulgarian territories were released. The day is March 3, 1878 , and is fateful for Bulgarian state and nation. On this day put an end to centuries of tyrannical rule imposed by the Ottoman Empire. The world is shaken by the echo of the bloody events during the April uprising. Mass outrage caused by the horrific events and the massacres against the Bulgarians encouraged the people of Russia to urge the country to intervene and declare war on the Ottoman Empire. Emperor Alexander II after the consent of the Great Powers ordered the start of preparations for military action. To General Stoletov entrusted to form a team of volunteers to take part in The Russian troops . 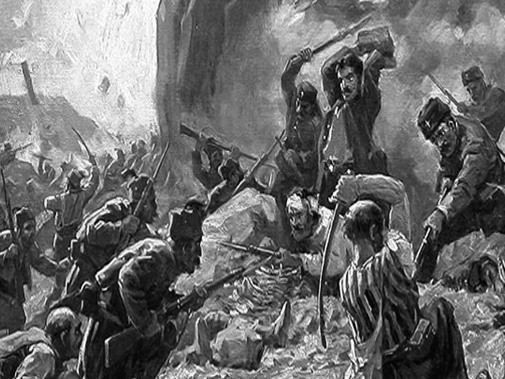 War was declared on 12 April 1877. 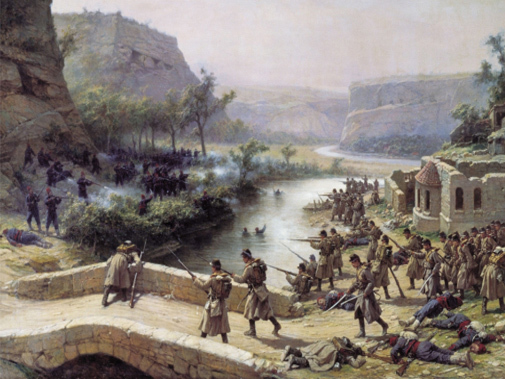 Russian troops quickly and synchronized cross the Danube, near Svishtov , which was first released city. People met with hope and tears of joy benefactors of Russia, and the long-awaited freedom. Russian liberation forces quickly managed to liberate the middle part of the country. Stara Zagora was conquered, but the Turkish troops have no intention to surrender and resisted – in Pleven they formed a large army of Turkish soldiers led by Osman Pasha. From south Suleiman Pasha headed his soldiers to Pleven through the Shipka Pass. There, Bulgarian volunteers are making an extraordinary effort and showed great bravery in the three-day battle. On the last day of the battle, when the shells and bullets are running out, against Turkish troops start flying corpses. They are used as protection from tired Bulgarian volunteers . When everything seems hopeless arrives General Radetzky with troops and turned the course of the war. Turks pass retreat and gradually lose the battle. In December Pleven was besieged and liberated by Russian troops. It began the victorious march of the Russian army , which reaches almost to Istanbul . They stop in the town of San Stefano, where began peace negotiations and preliminary agreements for the liberation of Bulgaria. So after several centuries servitude again Bulgaria is a country preserved the traditions of its people for centuries. Great past of the country and the glorious deeds of the Bulgarians, shows the world that even in the hard times of Ottoman rule over the Bulgarian lands, the power of the Bulgarian spirit is indomitable.